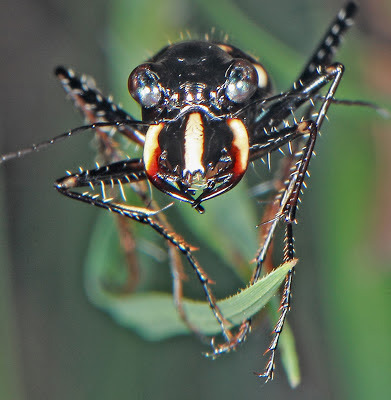 Growing up in northern California and collecting beetles as a boy I always took the challenge to chase the fast-moving and visually acute Tiger Beetles (family Carabidae, subfamily Cicindelinae). But it always seemed that the species was the same, Cicindela oregonensis, whether we were collecting along the coast or along mountain streams in the Sierra. 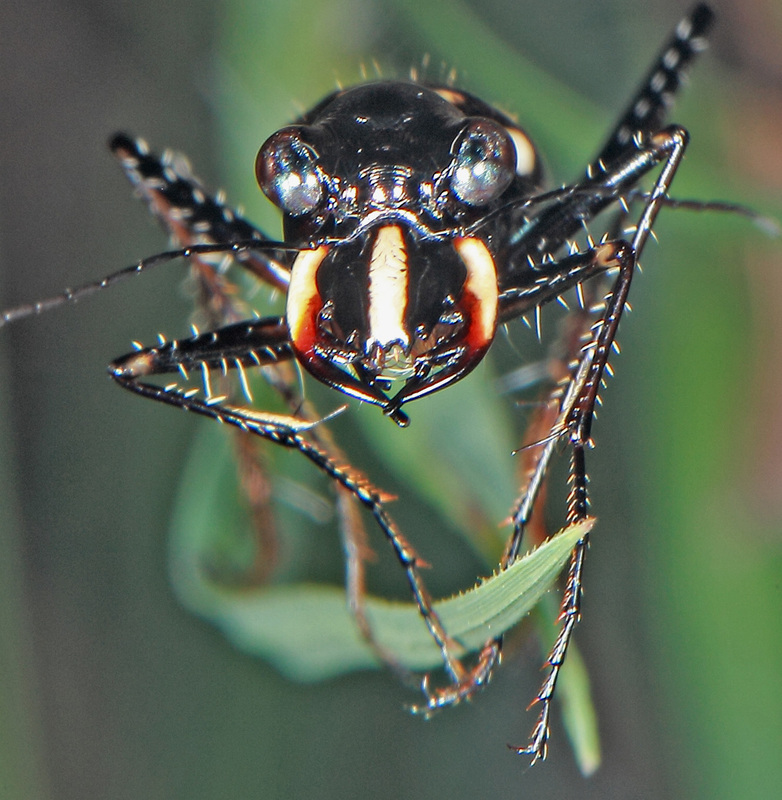 Rarely, one could find a real treasure, the large black Tiger Beetle, Omus. These beetles live in a different habitat--under bark, and prophetically, under the bark of downed eucalyptus trees where you usually encountered very little-- Sow Bugs (crustaceans) or certain tenebrionids. But I digress. 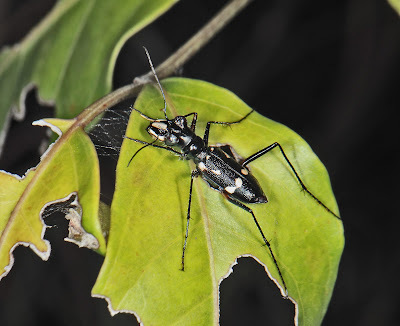 In Australia we see Tiger Beetles at the light sheet every night during the summer season and they can be spotted during the day where they actively pursue small insect prey. I have noted this before in this blog. I often see these beetles on tree trunks in the rainforest facing head downwards awaiting unsuspecting insect meals during the day. Recently at a site in a mixed eucalypt-acacia forest along the Clohesy River we found two species of the genus Dystipsidera. When spotted during the day on tree trunks, these beetles are alert and very difficult to approach. With their propensity to be attracted to lights, I had thought that they might be nocturnal. They are known for their extraordinary eyesight and could potentially see on bright, moonlit nights. 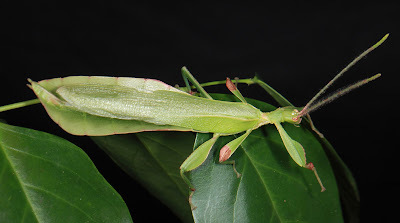 Two species were spotted sitting on leaves or grasses and they seemed to be active. But they were within 15m of the light sheet and that could have prompted their movements. 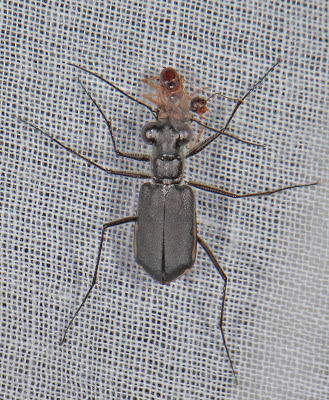 Dystipsidera flavipes is the larger of the two species and lacks the brown markings of its relative. 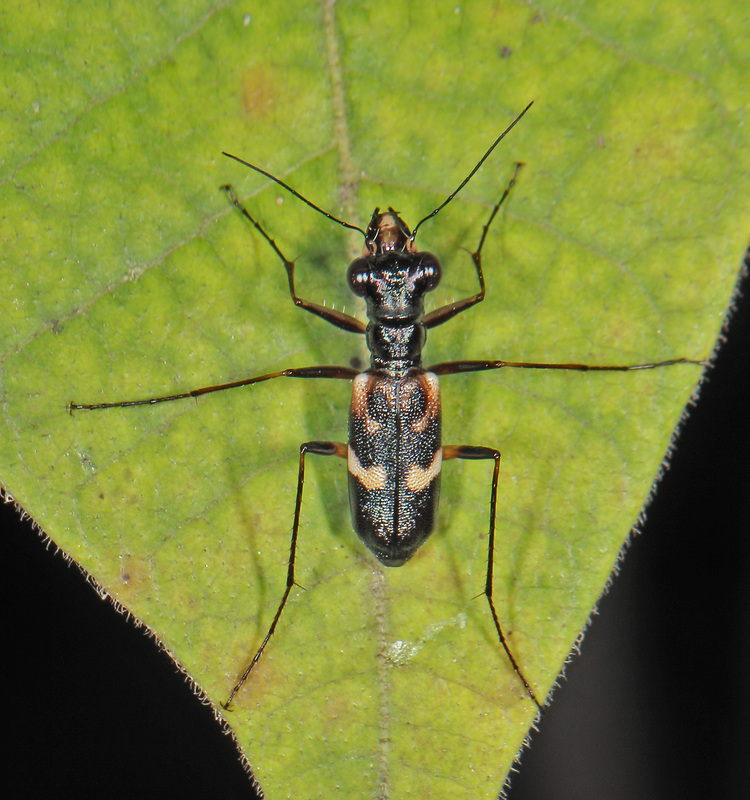 Dystipsidera sericea is the smaller of the two and seems to be less common. 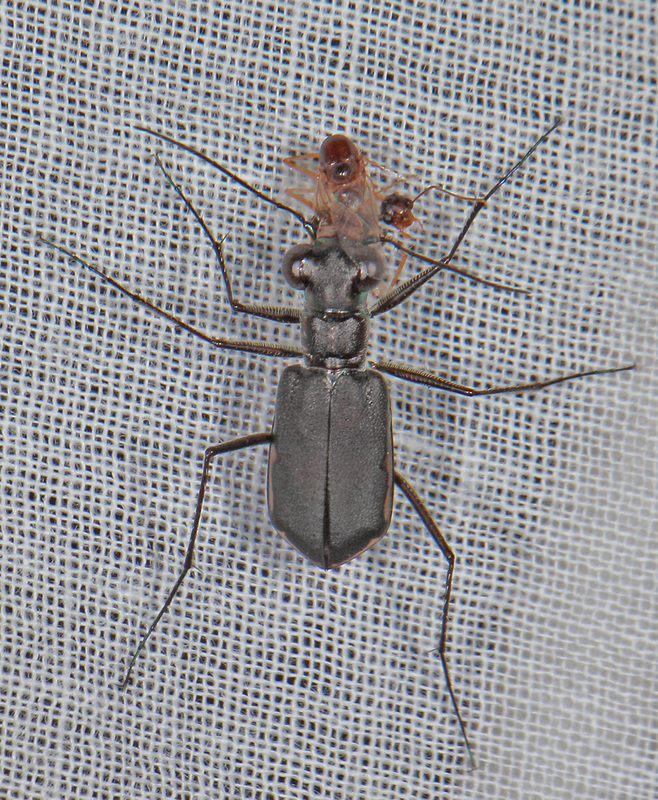 Cicindela sp probably semicincta, is a widespread, Cosmopolitan genus of Tiger Beetle. Here is devours an ant that has come to light. The larva of these beetles construct vertical subterranean burrows and protrude their heads with the massive jaws that seize any unsuspecting passing insect. As note, members of this genus seem to be found not far from waterways. Always something of interest in this great country. 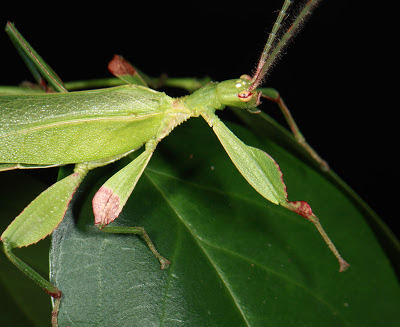 I have reported on this insect several times in this blog. It is the only known Australian representative of the widespread genus. Usually I see a couple of males at the light sheet but this year four have appeared. It has been an oddly dry wet season this year. The female of the species is extremely elusive. Only one has been found in nature. Reasons for their rarity seem simple. They rarely, if ever, fly and they are truly arboreal. When the males show up at the lights, they tend to move upwards towards the canopy. I suspect that's where the girls are too. 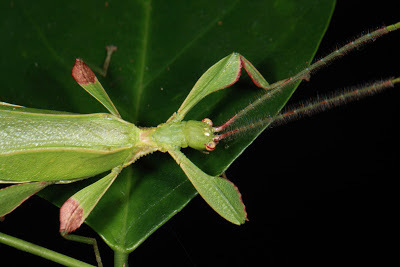 The flanged legs add to the leaf allusion. 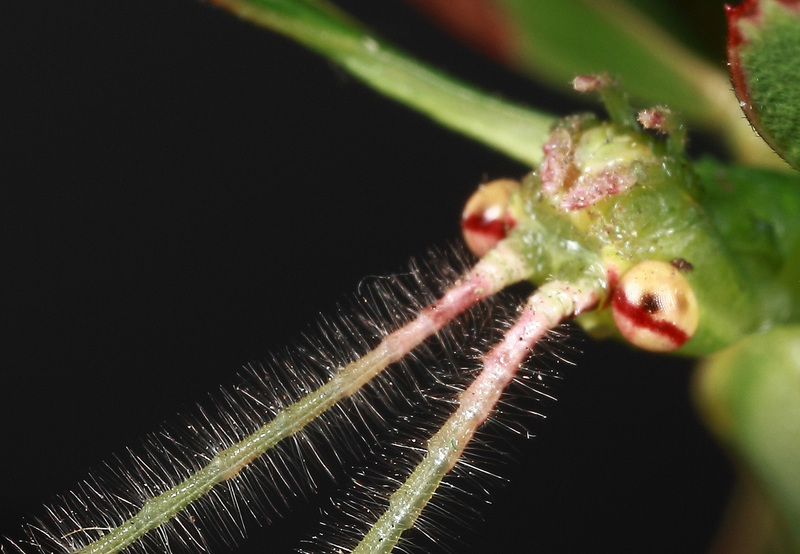 The three spots on the top of the head are "ocelli", false eyes, the function of which is rather speculative. A peculiarity of this species is the "fuzzy" antennae.